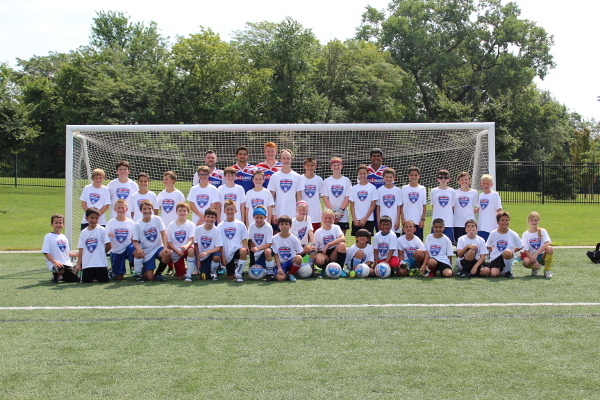 Thank you to Challenger Sports for providing a session of British Soccer Camp for our review. Soccer season last year was painful for our then 9 year old. He went into the city recreational league with almost no soccer skills and undiagnosed moderately severe asthma. He was afraid of being hit by the ball and afraid of getting kicked by the other players. Because of his asthma, he couldn’t run more than a third of the field length at one time. He received little instruction on soccer skills and how to play the game. You can imagine how less than excited he was when I told him I’d signed him up for Challenger Sports British Soccer Camp this summer. His Challenger Sports British Soccer Camp experience, however, was completely different than he anticipated. Challenger Sports British Soccer Camp was totally transformative for our now 10 year old. For three hours a day, with coaches who play on British soccer teams, the kids practice skill-building drills. And, each day, they implement those skills in mini-world-cup played against their fellow campers. While I didn’t stay to watch their three hours of soccer summer camp each day, I did witness a few of their warm-up drills. I also had the occasion to witness some conflict mediation and resolution. One of the campers was gloating (which is against the camp sportsmanship rules) over their recent team win to another camper. The first camper hurt the second camper’s feelings, and the second camper began to cry. I was very impressed by how the young camp coach handled the situation. He resolved the situation quickly and respectfully. 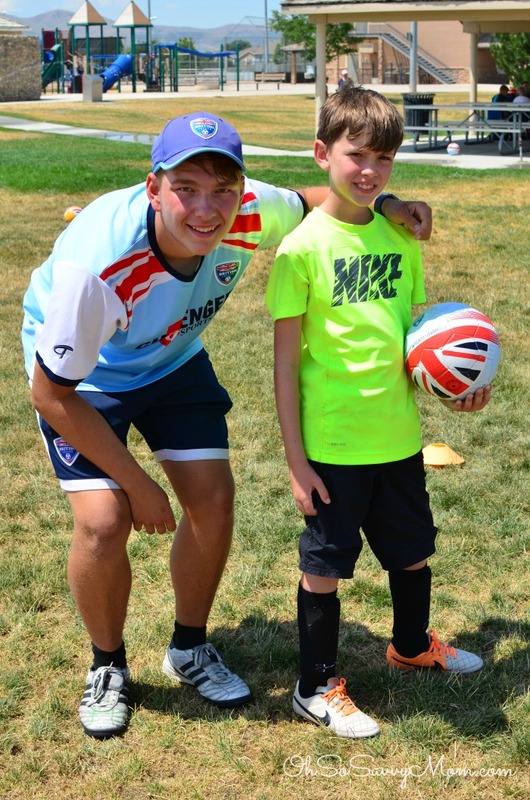 When I asked my son if he felt like his week at British Soccer Camp was beneficial, he quickly responded that his perspective on soccer had changed. He was once again excited to compete on a recreational soccer team. 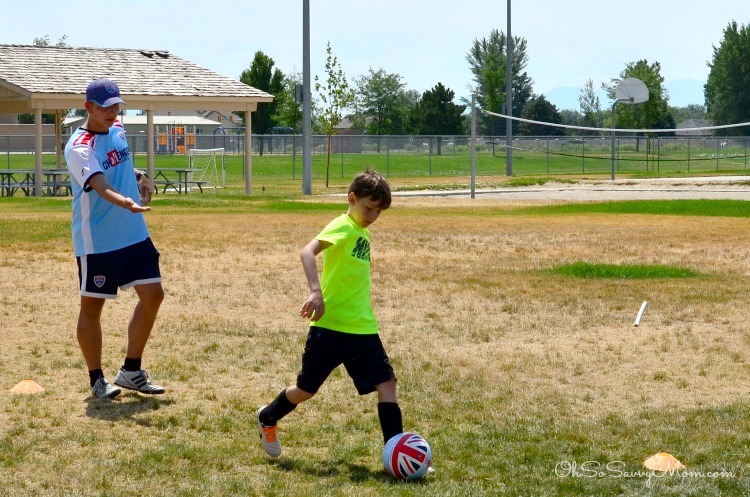 He learned vital soccer skills like dribbling, fly kicks and straight kicks, dribbling around an opponent, and anticipating where the ball would go. With his new skills, he gained confidence and quickly got over his fears of being hit by the ball or kicked by opponents. 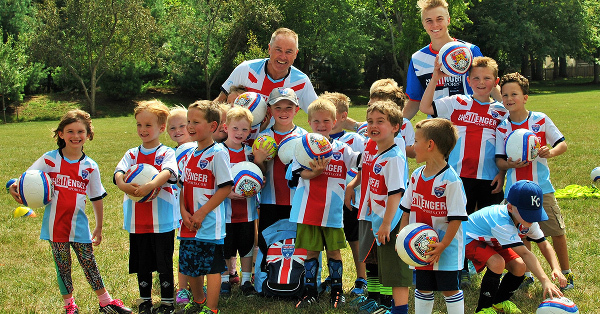 We hope to make Challenger Sports British Soccer Camp a summer soccer camp tradition in our family for years to come. Next year, I want to get my 4 year old and my 7 year old in on the soccer fun! Click here to learn more or to get your child involved with Challenger Sports British Soccer Camp.